Arsenal manager Unai Emery has confirmed Danny Welbeck has "broken something in his ankle" after being stretchered off in the 0-0 draw with Sporting CP in the Europa League on Thursday. In a game of relatively few clear-cut chances, the major talking point came mid-way through the first half when the England international landed awkwardly on his ankle. Both Arsenal and Sporting players were visibly distressed at the scene, and Welbeck was given a rousing ovation by the Gunners fans when he made his way back through the tunnel on a stretcher. Despite having secured qualification into the knockout stages of the competition with the result, Emery was most concerned about the severity of Welbeck's injury. According to ​Sky Sports, he said: "It’s the worst news tonight, this injury. "We think it's a serious injury. Every injury is different. He broke something in his ankle and it's a different injury than another. Now he's at the hospital and the news is at the moment we are going to wait, but we think this is a serious injury." Speaking to ​Arsenal's website, he continued: "It’s clear that we are with him in these minutes. He was working well and he was having a good match. He had some chances too. His injury was with the mentality of the players. "They [saw] it was a big injury. When you are playing football, when you are playing in competitive matches, it can happen. You don’t want it to happen but this is our profession." The manager also spoke on the effect the injury had on the players around him, with Matteo Guendouzi and ​Aaron Ramsey particularly affected by it. Emery added: "When one player has an injury like that, every player on the pitch they look at this injury. First it’s in your mind - you think for the player. But I think the players were concentrated on the match and we forgot this injury the next minute on the pitch. But when the match finishes, the first thing they did was ask for him." 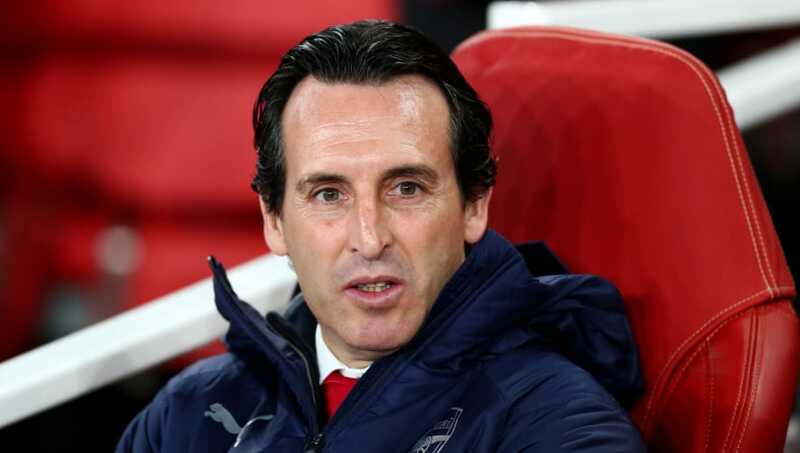 Whilst the injury overshadowed ​Arsenal's performance and result, Emery admitted his disappointment at seeing his side fail to clinch top spot in the group. He revealed: "It was a difficult game. We remember the match in Lisbon, it was also difficult. We won that and now we can say those three points away were very important for us. This point today isn’t enough for us but at the moment we are on target to be first in the group. We are first at the moment and we are going to continue on our way for that."